Praised be Singaporean dissidents | Jon Katz, P.C. From Library of Congress’s website. Singapore is a fascinating place. Certainly, the government for decades has sought an overly-antiseptic and censoring city nation, while jailing dissidents, caning convicts, and executing people for possessing as little as 1.2 pounds of marijuana (with my having snapped a photo of some smiling customs officials under a banner near the Malaysian border proclaiming the death penalty for drug trafficking). Knowing all of that, still I spent a few days there after the bar exam in 1989, as an international air travel hub on my way to a much more colorful and fascinating time in Thailand, starting with an inexpensive Bangkok guesthouse located alongside corrugated rooftop homes near Kao San Road, and followed by a northern trek that included everyone pushing an overloaded converted pickup truck out of the mud numerous times on day one, followed by joining some singing moonshine-drinking revelers at the tailend of a wedding celebration in a tribal village. I got a slight peak on the inside of Singaporean society while spending some time with a friend who had just relocated there and staying as a guest at the home of his brother — who described himself as conservative — and spending time with some of the family members going about their daily activities. Part of what makes Singapore so fascinating is its overlapping Chinese, Malay and Indian influences found in such a small geographic area. I write more about my visit to Singapore in the last several paragraphs here, including my surreal midnight arrival at a near-empty airport luggage carousel area with unsmiling machine-gun toting security offset by nobody asking about the contents of my baggage, and my possibly even more surreal experience meeting a fellow diner at a vegetarian Indian restaurant who thought he was paying me a high compliment by likening me to a young Richard Nixon with his new legal career ahead. My time in Singapore was all the more interesting by having gotten off the beaten path several times. Fortunately, Singapore is not the monolithic lockstep place that many of its rulers have sought. Numerous Singaporean dissidents are willing to speak out, and to do so in a vibrant, fearless, calm, intelligent and apparently effective way, as detailed further below. As much as civil liberties remain under assault in the United States — with it being essential constantly to refight and re-win previous civil liberties victories — plenty of dissident actions that would get little if any suppression in the United States routinely get suppressed in Singapore. – On May 17, 2008, dissidents screened One Nation Under [Lee Kuan] Yee, without first submitting it to Singapore’s ubiquitous censors. Kudos to those who produced the film, the dissidents who screened the film, and Singapore’s Peninsular-Excelsior Hotel for allowing the film’s screening (although I suspect the hotel did not recognize the implications of the screening or the screening itself). – Here and here is a March 15, 2008, attempt to proceed with a rights march in Singapore. – Gopalan Nair is a lawyer who grew up in Singapore, dissents openly from its government, and practices law in the United States, where he obtained citizenship. He has intentionally blogged himself into being brought into court on pending criminal libel charges relating to Lee Kuan Yew, who previously governed Singapore in authoritarian fashion, and still participates in the running of the government. – A longtime Singaporean dissident is Francis Seow, who went into self-exile many years ago. 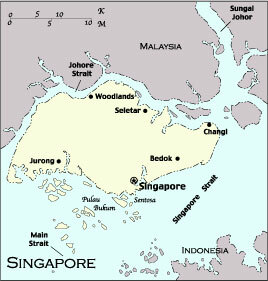 – The Singapore Democratic Party is active with numerous of the current protests. If you visit Singapore, please let me know. I wonder how much else of the nation has changed after my last visit there nineteen years ago. Jon Katz.